Global pork supply is forecast to increase further in Q1 2018, mainly driven by the US, Canada, and Brazil. China’s pork imports have been slowing down lately, but are expected to pick up again over the rest of the year, according to RaboResearch’s latest global Pork Quarterly. China’s pork prices have been steady, due to a tight supply. This drop in availability follows capacity reductions triggered by stricter environmental policy enforcement in 2017. Despite the expected supply volatility in Q1, we maintain our forecast that production will continue to increase in 2018. While local prices will be volatile, pork imports are expected to rebound after a sharp decline in 2017. “Expanding production in most regions means exports become more important in 2018. We expect competition in key importing markets, particularly in China, to intensify.” says Justin Sherrard, RaboResearch global strategist – Animal Protein. The feature article of this quarterly looks at several uncertainties that will challenge pork trade in 2018, most importantly the intensifying competition in key importing markets, particularly in China. “Expanding production in most regions means exports become more important in 2018. We expect competition in key importing markets, particularly in China, to intensify.” says Justin Sherrard. The feature article of this quarterly looks at several uncertainties that will challenge pork trade in 2018, most importantly the intensifying competition in key importing markets, particularly in China. In the EU after a relatively short period of strong profitability, pig producers have reinvested for growth. As a result, Rabobank expect increased production to reach the market beginning in 2018. 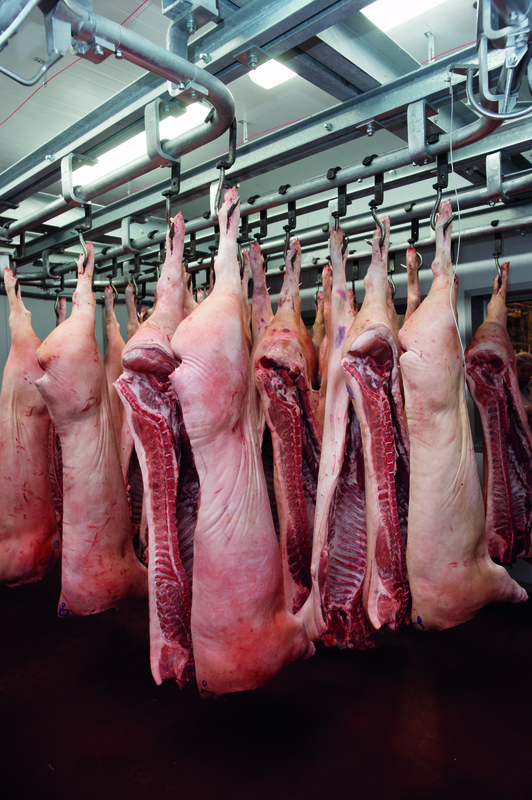 The additional supply is expected to pressure pig prices and cutout values. This price decline could stimulate consumption and exports. The latter is concentrated on Asian markets, in which China plays a key role. Faster growth in US pork production, of 4.3%, will necessitate the free flow of exports and healthy domestic demand. Strong exports to start the year have intensified the competition for market hogs, to the detriment of packer returns. This increase has already provided an opportunity for producers to secure very good margins for much of 2018. Finally local Brazilian pork demand is expected to increase, along with the improving economic conditions. The expected stabilisation of feed costs will continue to support good profitability for hog producers for much of 2018. Pork exports to China in 2018 are expected to rebound strongly. Russia’s ban on Brazilian pork remains a wild card for 2018.